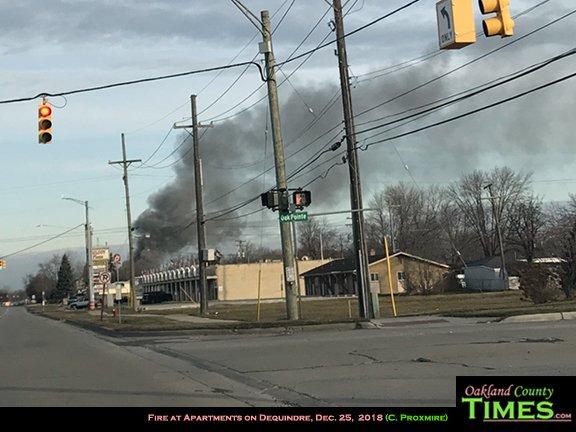 Sterling Heights, Troy, MI – A fire Christmas morning has gutted several apartments in the Sterling Troy Apartment building at Dequindre and Wisconsin, just south of Maple Road in Sterling Heights. 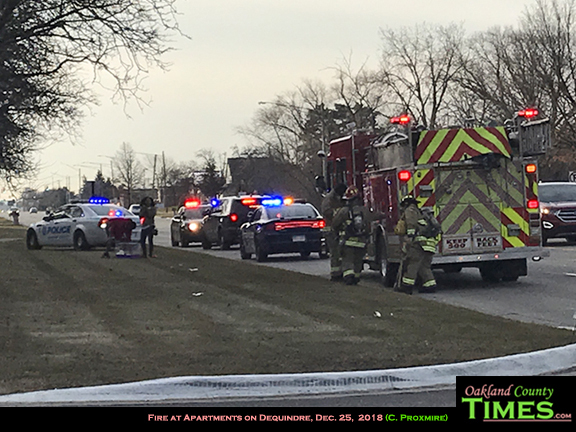 Several fire departments, including Sterling Heights and Troy arrived at 34400 Dequindre around 9:15am to find flames engulfing apartments in the northernmost section of the building while residents, many still in pajamas, looked on. 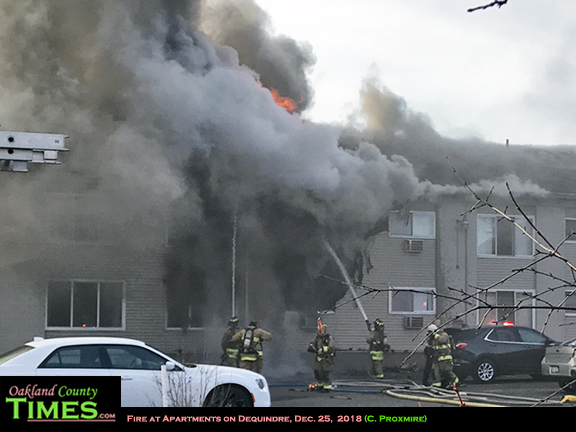 The fire destroyed at least two of the apartments, with others suffering damage from the smoke. 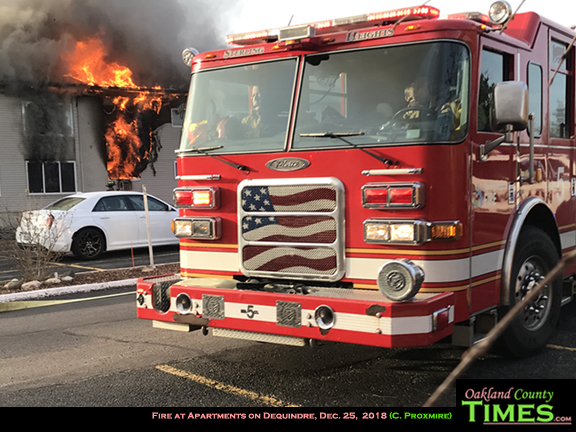 The cause of the fire is not known at this time. Nor is it known if there were any injuries. Travelers are advised to avoid the area. 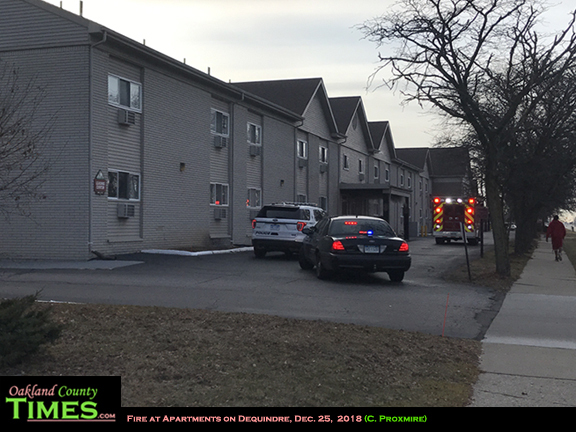 UPDATE: The cause of the fire was a discarded cigarette that got stuck inside a window air conditioning unit. 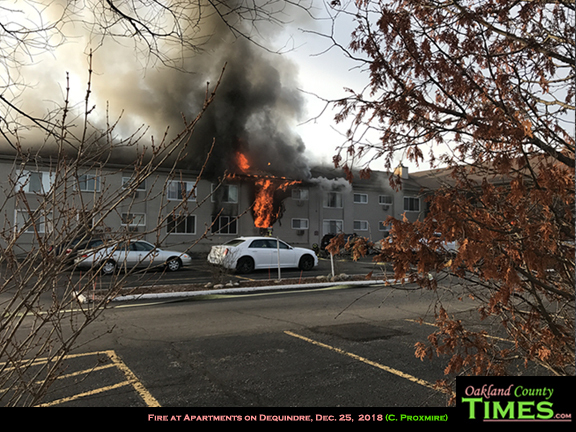 50 residents have been displaced. 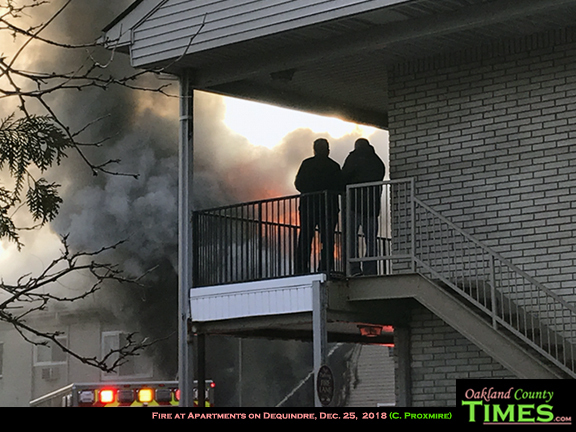 There were no injuries of residents, though one firefighter suffered a fractured leg while fighting the blaze.